I've still been working very, very hard on the three children's books - but things are winding down now. Snapped by Sam for Octopus Publishing is done and dusted, and the other two for Far Far Away Books are almost finished. Nearly there! I've spent a few days recently just hanging around waiting for feedback, which, although it left me feeling a little lost, was great for giving me some time to work on personal illustration projects. 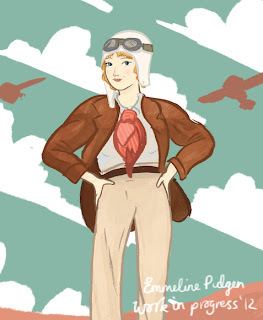 Yesterday would've been famed pilot lady Amelia Earhart's 115th birthday, which reminded me that she had been on my list to draw for a very long time indeed. This is a combo of ink linework, digital colouring and a fair few textures. You can see the work in progress below it too (something I might keep doing more of if you like). I think Amelia's story is fascinating, I love a good mystery. I posted this WIP up on Tumblr yesterday asking for a bit of feedback and someone pointed out that they thought the scarf looked like an open chest and heart! Which, although it's quite an morbid perception, I saw once it'd been said - so of course, I've changed it - looks better now right? 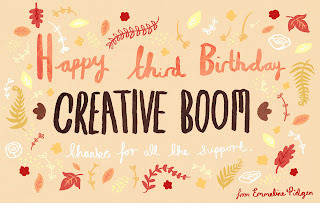 This is a quick one I sketched up yesterday for my friends at Creative Boom's third birthday. 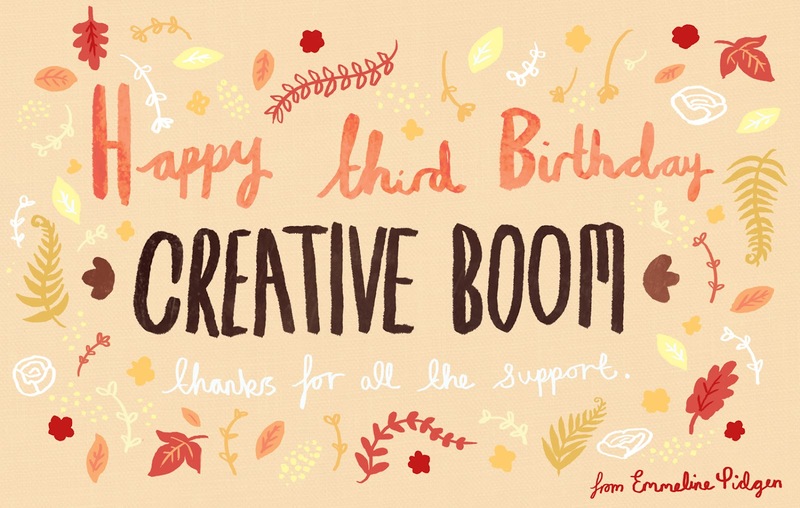 Creative Boom is a great site supporting and advising up and coming creative businesses - they've helped me out a lot, so, yeah, they deserved a card I say. Sorry if this post is a little in-cohesive. I'm pretty exhausted and in the midst of packing to go to Amsterdam tomorrow afternoon! I'll be coming back with a ton of drawings (hopefully), but there'll be some radio silence for a few days. Have a good week lovelies! 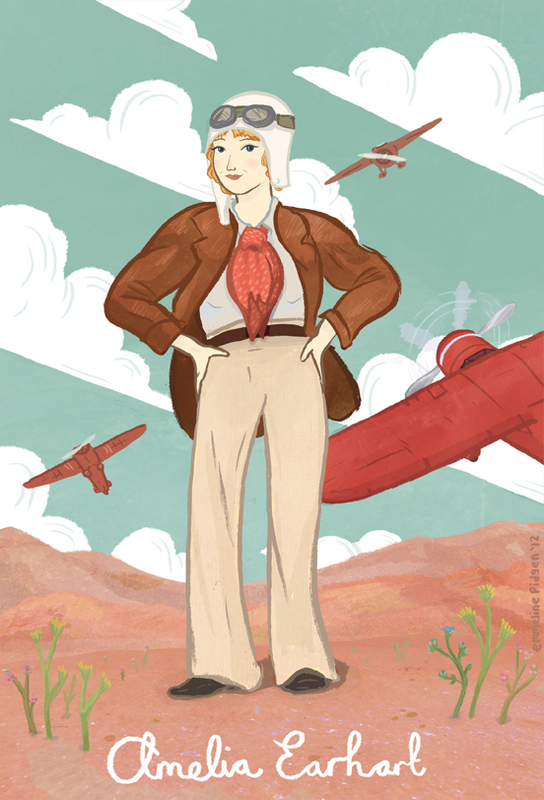 Let me know what you think of the new illustrations, and keep in touch.